Thanks for the kind words Janne, it's always good to hear someone's finding them useful. 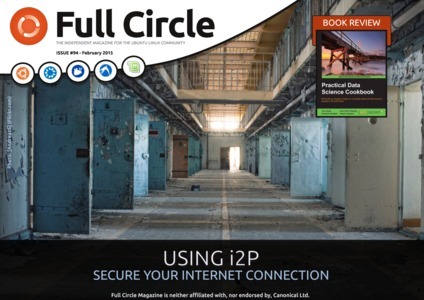 Issue #94 is now available. This one covers the Scale, Rotation and Blur & Opacity tabs of the Tiled Clones dialog. Issue #95 is now available. This one covers the Colour tab of the Tiled Clones dialog. Espermachine, your wait is over: Issue #96 is now available. This one covers the Trace and Symmetry tabs of the Tiled Clones dialog, plus the "Use saved size and position..." checkbox. Issue #97 is now available, with my article covering the topic of grids. Tell me about it! I feel like I've only just finished writing the previous instalment, only to receive an email from the editor saying that the deadline for the next one is this Sunday! I read you all tutorial and found good knowledge .thanks for this again. Issue #98 is now available, with my article introducing the Align & Distribute dialog, focusing on alignment. Issue #99 is now available, with the Inkscape article detailing the remainder of the Align & Distribute dialog. 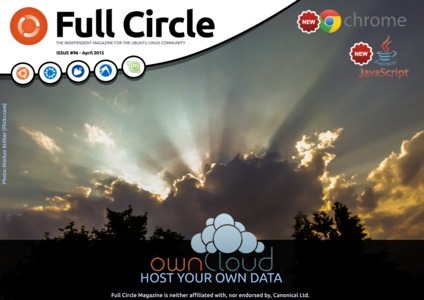 The 100th issue of Full Circle Magazine is now available. In celebration of this achievement I've taken a slight detour from the usual format, to present 100 Inkscape tips and tricks. Being a Windoze user, most of the Unix stuff is over my head, but the Inkscape tutorials are brilliant. I have your three Inkscape specials with all the articles up to #24. Is there any chance of gathering articles 25 onwards (now up to #40!) into a single pdf? styxlawyer wrote: Being a Windoze user, most of the Unix stuff is over my head, but the Inkscape tutorials are brilliant. Hi styxlawyer, thanks for the kind words. I try to keep the Inkscape stuff fairly platform agnostic, so I'm pleased to hear that you're finding the articles helpful. I don't create the compilations, I'm afraid, so they just appear when the person who does finds the time. I didn't know the first two were even being worked on until they suddenly popped up on the FCM website one day! Once I complete the whole series I might compile them into a single document myself - but I've still got some way to go before then. Issue 101 is now available, concluding the layout and arrangement section of my tutorials with a look at the Transform dialog and the Arrange (formerly Rows & Columns) dialog. Will come handy in the future. Issue 102 is available, with part 42 of my series, which starts a short look at Live Path Effects. This instalment includes a brief introduction, then some more details about the Spiro Spline and Gears LPEs. 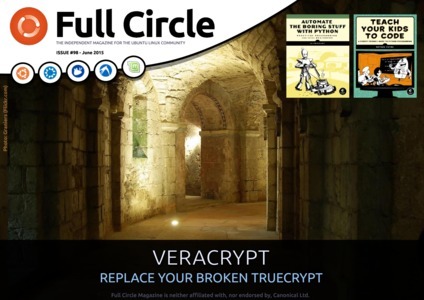 Issue 103 is now available for free dowload, with part 43 of my series. This instalment looks under the hood of LPEs a little, and then describes the Bend LPE in some detail. This months article was especially interesting. Thank you ! Yes, those are great Just one small thing: in 0.91, it's not necessary to ungroup/combine before using bend path effect. It works on groups, too (unlike the PAP effect). Or was there another reason for the ungrouping/combining? Moini wrote: Yes, those are great Just one small thing: in 0.91, it's not necessary to ungroup/combine before using bend path effect. It works on groups, too (unlike the PAP effect). Or was there another reason for the ungrouping/combining? Although they're fairly comprehensive, the tutorials are just meant to give a broad overview of using Inkscape, rather than covering every single detail. In the case of LPEs it seemed easier to describe the method that works with all the LPEs, rather than having to specify which ones work with groups and which ones don't. In the previous instalment I described LPEs as basically being a function that takes a path as an input and produces a path as an output. Although that's not strictly correct (as you mention, the input can also, sometimes, be a group of paths), it's a good enough working definition that I didn't want to confuse things any further. But it's great that you've read the article enough to pick me up on things like that - I'd rather have people ask questions, as it helps other people (and me!) to learn even more. And it makes sense to give a more general approach that will work with every LPE. Thanks for explaining your reasoning! A seasonal gift for you all... part 44 of my tutorial series in Full Circle Magazine #104. This exciting instalment described the Envelope Deformation and Knot LPEs, and a slightly tall tale of 70s style rock bands! 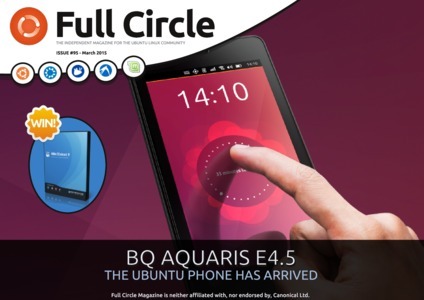 Part 45 of my tutorial series is now available in Full Circle Magazine #105. This part covers the Construct Grid, Hatches (Rough) and Interpolate Sub-Paths LPEs.